What comes to mind when people hear the word "container"? Is there a clear-cut image held in common by everyone? 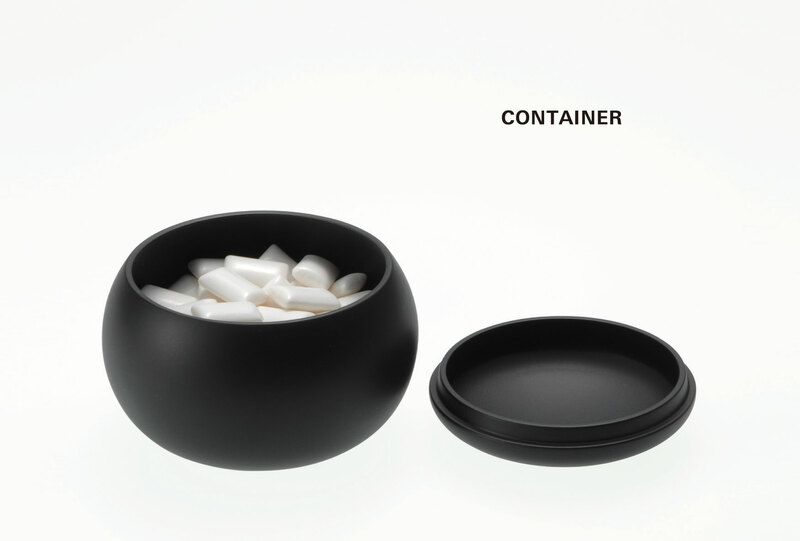 Is the shape of a container dependent on its contents? Or do people look at a container and think, "If it's this shape, then I want to put X in it"? There's an appeal to containers, regardless of what's in them. We came up with various designs when discussing just what that appeal was. We searched out the soul of this appeal that was "effortless good". This workshop is held once a year for designers at the forefront of companies with differing areas of specialty. Since the designers who design the products we usually use or see participate in this workshop with its WITHOUT THOUGHT theme – which could be called Naoto Fukasawa’s philosophy – it is not hard to envision that it proves a special experience for professional designers, too. If this were a school, then we could call the designers who have participated until now “graduates”. And with this being the 11th workshop to be held, there are a considerable number of graduates. Did you know that in recent years, the world’s design evaluation of Japanese companies has been very high? Japanese companies have always been adept in terms of assimilating trends and with regard to the quality of what they create; but now opinions regarding emotional design, the kind that resonates in people’s hearts – what could in a word be described as “appeal” – have risen. What is “appeal”? This is an extremely difficult topic - because it’s something that figures so deeply, so intrinsically in human beings that as soon as it is put into words, it slips away. I believe that what WITHOUT THOUGHT is exhibiting through its workshops is precisely the “route” that is necessary to experience the essence of this “appeal” that is so hard to describe. It’s a bit different to the kind of design that considers how to organize functions and how to express humor or amusement. Like the haiku poetry of Basho and Shiki, for example – thinking of the movement and the shape of words, and coming up with humor and drollness is a little different. This is the part of creation that is difficult. The “route” to experiencing the essence of “appeal” is, like Maeterlinck’s “L’Oiseau bleu” something that already lies within the behaviors in peoples lives and in their minds, yet is something that they just aren’t aware of. WITHOUT THOUGHT is a “route” towards being intuitively aware of this “appeal”. It’s a “route” whereby there’s nothing for it but to use our five senses to observe the world, to use our hands to create simple models – at any rate, to use our entire bodies to remember. Like with haiku. Please savor WITHOUT THOUGHT’s “CONTAINER”. DMN (Diamond Design Management Network) is a program organized by Diamond Inc. (Fumiaki Shikatani, President) to aid in the development of the creativity of company employees. 21st century companies address a new view of corporate thinking, where management is on the left side of the brain and design on the right; we facilitate networking between companies based on the idea of design management. We’ve proposed an open collaboration that doesn’t get caught up in business categories and, starting with management and including intra-firm product planning, design and marketing divisions, provide services such as seminars, case studies, workshops, research studies and publicity in which members may participate. The principal producer of the program is Seiichi Mizuno. “WITHOUT THOUGHT” with Naoto Fukasawa is a workshop that has been held since 1997. (c) 2004-2010 Diamond Design Management Network All Rights Reserved.